Cafe de Tropika is a relatively new Hong Kong style cafe on the southside. 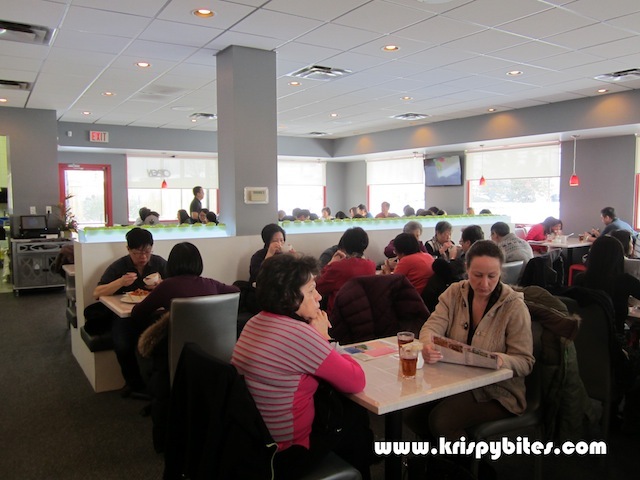 To be honest, HK style cafes are not my thing, but in Edmonton there's always a bit of hype whenever a new Chinese place opens. And it's kind of a big deal since there are only two other HK style cafes in the city that I know of. 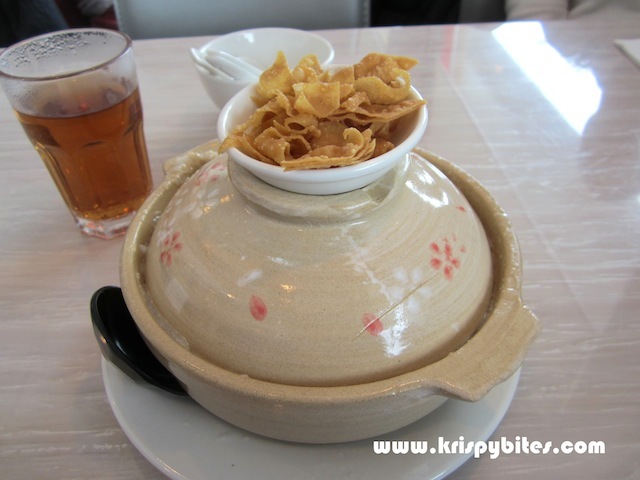 See my post on Taipan Cafe in Chinatown. My first visit was a few weeks after grand opening. The place was packed since everyone wanted to try the first and only HK style cafe on the southside. The staff obviously had not worked out the kinks yet and service was slow. After a quick browse through the super extensive menu, I noticed that there were no combo meals which was rather unusual. HK style cafes typically offer combos that include an entree and a hot drink (HK style milk tea or coffee) or multiple dishes for one price. Soups and hot drinks which are usually complimentary with the meal cost $5 and $3 respectively. I was in the mood for some hot and comforting congee but was sorely disappointed in the lukewarm starchy goop that arrived. 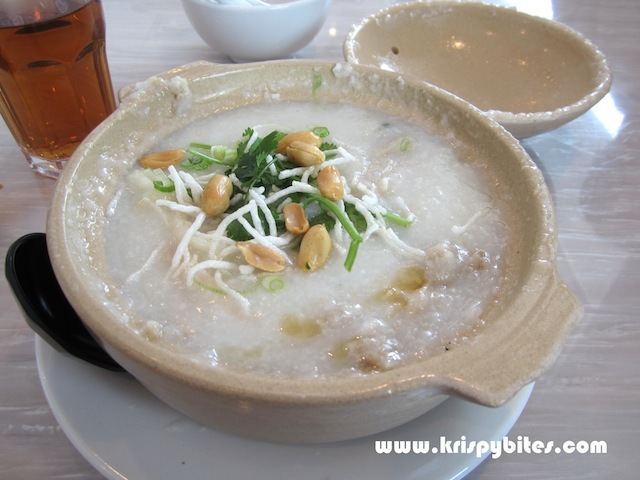 I had ordered a boatman's congee (艇仔粥) ($7), which is supposed to be a fluffy rice porridge with fish, squid, pork, Chinese doughnut, peanuts, and a variety of other ingredients. Half of those main ingredients were missing or substituted with other items, so the flavour was not authentic at all. 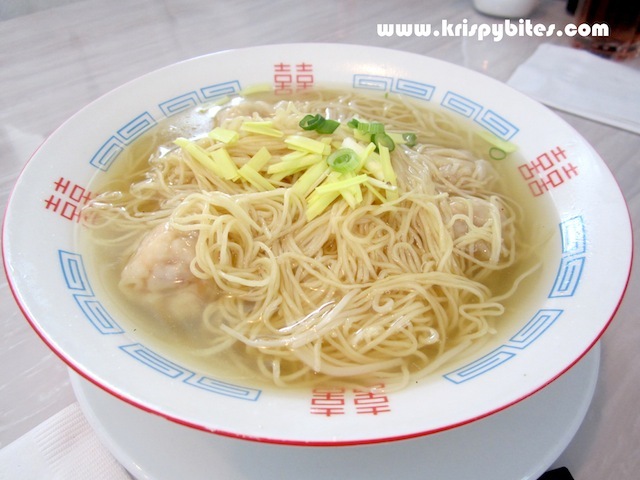 The wonton noodles (雲吞麵) ($8) were surprisingly quite authentic, though the portion was a bit small for the price. 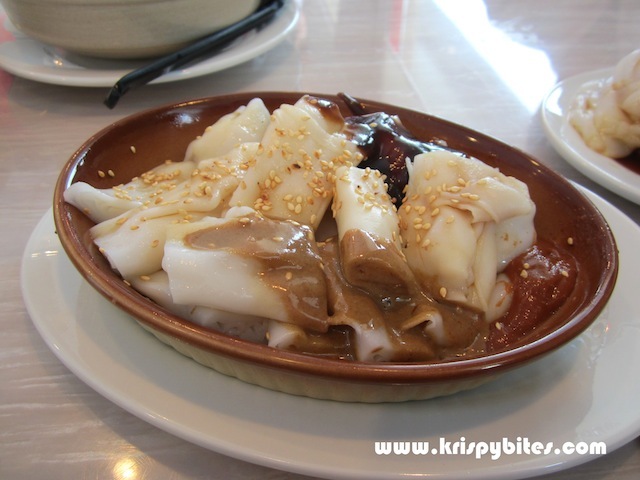 I ordered steamed rice noodle rolls with sweet sauce and sesame sauce (港式街邊腸粉) ($4), a traditional snack in Hong Kong. The texture was a bit gummy and not nearly as soft or smooth as the rice rolls from Tasty Choice. 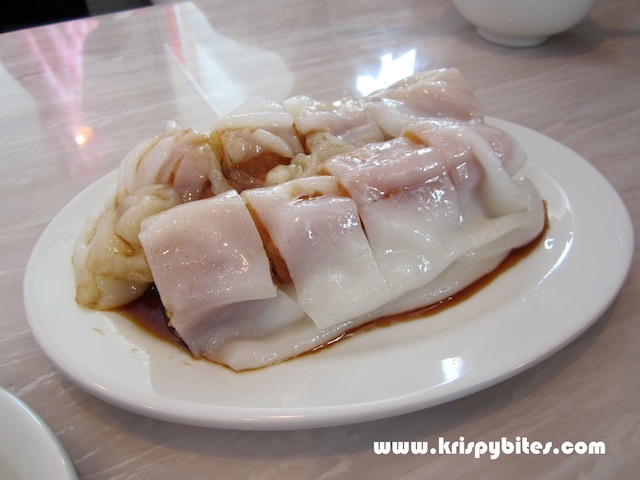 Similarly, the steamed rice noodle roll with Chinese doughnut (炸兩) ($4) was just average. So basically my first visit did not leave a very good impression. I didn't plan on coming back, but someone from work was interested in trying this place and I found myself back here again for lunch. 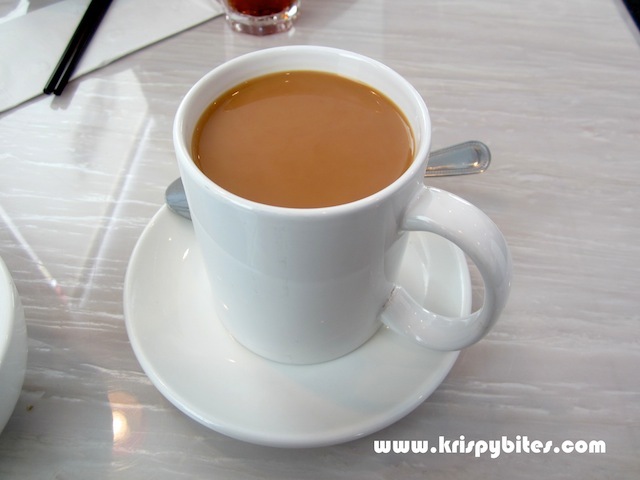 This time I decided to get a hot cup of HK style milk tea (港式奶茶) ($3) and see if it's worth the splurge. Not quite. It wasn't bad, but it wasn't particularly good either. In any case, it was definitely not worth the money. 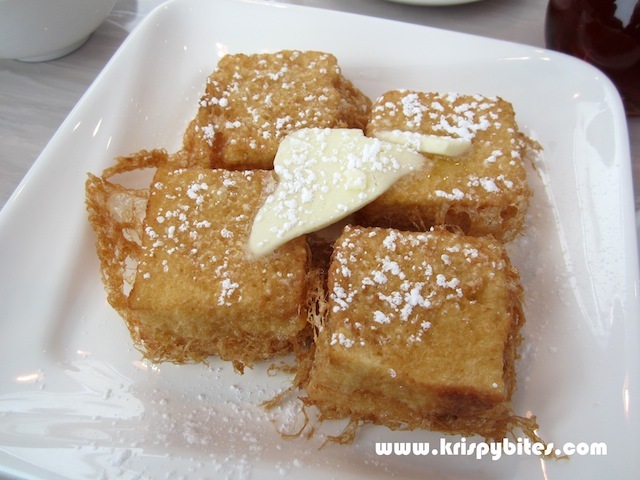 I didn't have faith in any of the overpriced entrees, so I opted for a HK style French toast (西多士) ($5). This was the one dish that saved the restaurant from being completely unimpressive in my book. The presentation was nice with individually deep fried bread cubes, a thin triangular slice of butter and a generous dusting of icing sugar. The toast had a traditional filling of kaya, a condiment made with eggs, sugar, coconut milk and pandan leaves. 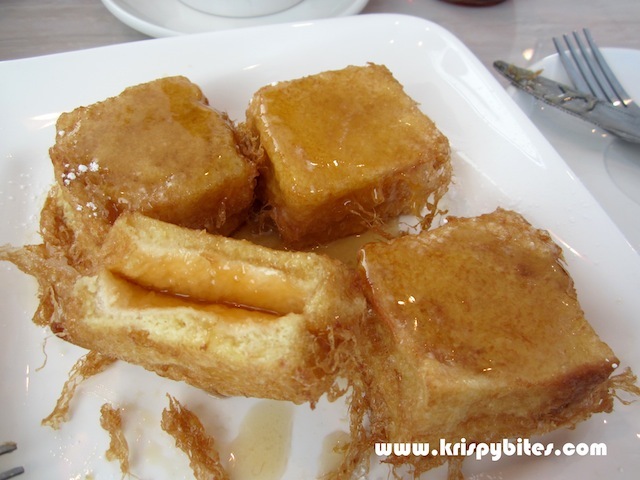 The golden bread cubes had a soft, moist, and fluffy interior which went well with butter and syrup. I think this is a very nice alternative to pancakes and waffles. 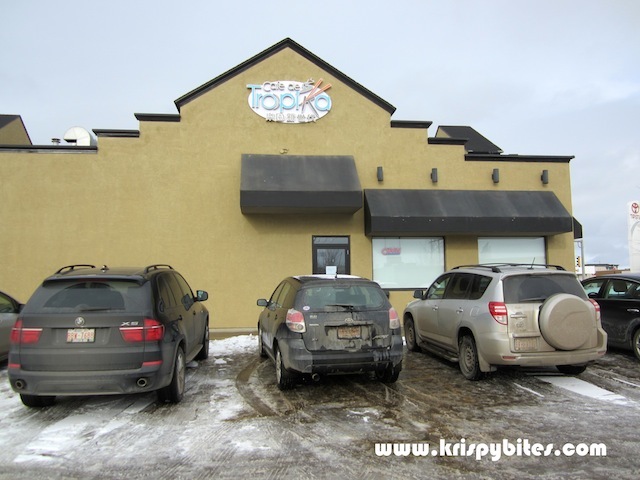 Even though I'm not particularly impressed with Cafe de Tropika, I still like it better than Taipan Cafe. The environment here appears to be more clean and tidy, and the presentation of the dishes is not as sloppy, but be prepared to pay premium prices for the difference. Due to a lack of competition in the area, they can pretty much charge anything they want. I think this place is a good option to satisfy that sudden craving for HK style food, but I wouldn't come here regularly. I do crave the tasty French toast from time to time though.